Financial Regulation Matters: Has the FCA “Gone Soft”, or are its Hands Tied? Has the FCA “Gone Soft”, or are its Hands Tied? 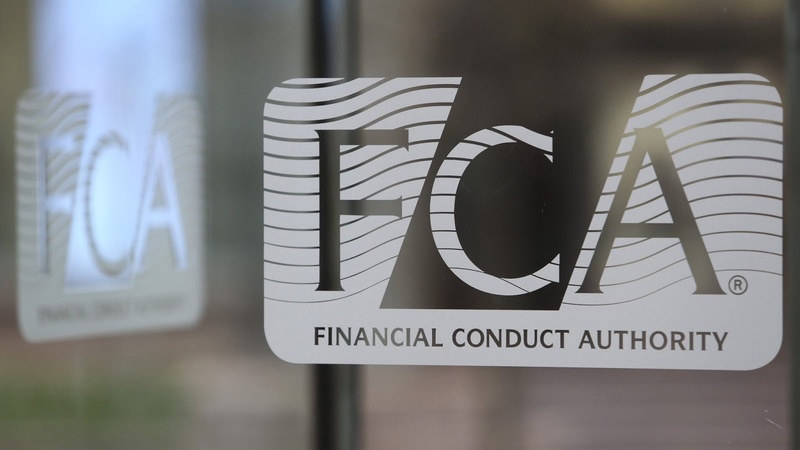 The Financial Conduct Authority (FCA), one of Britain’s primary financial regulators, has featured heavily within Financial Regulation Matters, for obvious reasons. However, a lot of the recent posts focusing on the regulator have been concerned with its approach to the unfolding scandal at RBS, with its role in the publication of a damning report drawing attention most recently. However, recently there have been suggestions that the regulator has ‘gone soft’ in its approach to the regulated, with the RBS debacle being cited as the most compelling evidence for the regulator’s approach. In this post, these accusations will be assessed against the evidence, with a larger question being asked with regards to both the role of the regulator in the larger picture, and its willingness to take action. The decision by the FCA to commission, and then refuse to release a damning report into the operations of RBS and its treatment of small and medium enterprises (SMEs), has caused outrage in the sector, with the regulator being accused of demonstrating a ‘light-touch’ regulatory approach as a result. However, Andrew Bailey – the FCA’s Chief Executive – has sought to respond to the criticism, this week stating that ‘no supervisor can guarantee good conduct at all times’ and that, in relation to the era now after the Financial Crisis, ‘we do now have powers we did not in the past’. Yet, the narrative advanced by Bailey is one that alludes to a helpless regulator doing all they can, which needs to be examined. Much of the criticism has spanned from a divergence witnessed recently because, as opposed to the near-silence and staunch refusal to publish the RBS report (the Treasury Select Committee had to do so instead), the FCA recently banned Paul Flowers from the financial industry, the former Chair of the Cooperative Bank, four years after he pled guilty to the possession of illegal drugs. In addition, the regulator recently took action against the broker Beaufort Securities, declaring it insolvent after a joint operation with American authorities. The obvious question is why take action against these entities, but not RBS when faced with overwhelming evidence of wrongdoing? In 2017, the FCA’s largest fine was that given to Deutsche Bank for failing to comply certain regulatory codes - £163 million. In 2016, the largest fine was given to Shay Jacobs Reches, for breaching the Financial Services and Markets Act 2000 - £13 million. Before the Financial Services Authority was disbanded, its largest fine was given to UBS on account of rigging the LIBOR rates in 2012, with that fine totalling £160 million. Whilst the business of regulating does not come down to just fines, it is a strong indicator of the power of a regulator, and Bailey’s claims that the FCA now has more power than was available in the Financial Crisis era means that, perhaps, it is their willingness to act which is the question. However, if we continue to focus on their willingness, then another issue arises. It is important to note here, as many regular readers of Financial Regulation Matters will know all too well, there are rarely any punches pulled when it comes to criticising financial regulators in this blog. The handling of the RBS debacle is nothing short of a national scandal, in addition to the actions of RBS itself, and no one should be excused for their performance in this matter which has costs so many their livelihoods. Yet, what if it is the case that the regulator cannot take action? Whilst the regulator is officially independent, we need to question if this is actually the case; taking a larger view of the arena suggests that, whilst critics are right to call for action, the reality may be that no entity exists to take the action. If we take RBS as the prime example, Bailey was known to have been sitting on the damning report for quite some time, with the only movement being to release an abstract. At the same time, the British Government, via its Treasury Department, was holding high-level talks with the US Department of Justice to accelerate its impending punishment of the bank for Crisis-era transgressions, with that fine expected to run into the billions and billions of dollars. Whilst recent news that the Bank has returned to profit made the headlines, the reality is that this is a bank that has been consistently haemorrhaging money since the Crisis, and its largest shareholder is the British Government. The question is, what effect would the public release of information that detailed systemic abuses against SMEs for profit have upon the fortunes of the bank? Whilst the level of impact was unknown at the time, it was sure to be negative, and the Government simply cannot afford that negativity whilst the Bank is on its books. If we add to this discussion that Bailey is, supposedly, being considered to take over from Mark Carney as the Governor of the Bank of England when his term ends, then the situation becomes murkier still. When Bailey was appointed, it was said, rather widely, that he had been appointed by then Chancellor George Osborne because his temperament was different to that of his predecessor –Martin Wheatley – who was to be ‘too tough’ on the banking sector. Furthermore, Bailey today called for deregulation in the fintech field, to speed up growth in the sector, which whilst not overly news-worthy, does hint at the mentality within the regulator. The picture painted is an interesting one. The decision to focus on Flowers, and not on RBS, is perhaps a microcosm of the FCA and its actual capability; Flowers was an easy target, as to the Cooperative Bank. They are easy targets because, quite simply, they do not belong to the upper-echelons of modern finance, whereas RBS do. The too-big-to-fail has somewhat fallen out of favour in the common business press, but the sentiment behind the concept not only applies to failure, but also to punishment; if the FCA were to levy record fines against the Bank within which its national Government is the majority shareholder, all whilst the US DoJ is preparing fines that may come in at close to $10 billion, the effect would be extraordinary. It would at once put the upper-banking sector on alert that transgressions will be punished severely, without respect for any other factor. However, as it was, the message sent by the FCA was quite the opposite. That message will then reverberate around the sector, with Lloyds being a prime example as they continue, inexplicably, to delay the compensatory proceedings for those damaged by the HBoS scandal; why should they fear reprisals, if it is proven that none are forthcoming? Yet, whilst we should have an independent financial regulator, and systemic transgressions should be punished with everything the regulator can do, the simple conclusion is that regulator does not exist. The FCA, whether declared as independent or not, exists within a much larger framework and, for that reason, perhaps its hands are truly tied. Does that mean we should accept that? It is contested here that we should not, and independent financial regulation is a ‘public good’ that is, in the current era especially, fundamentally required. However, understanding the reality of situation is also a virtue, and in this instance it is unlikely that independent regulation will be witnessed within the current framework.